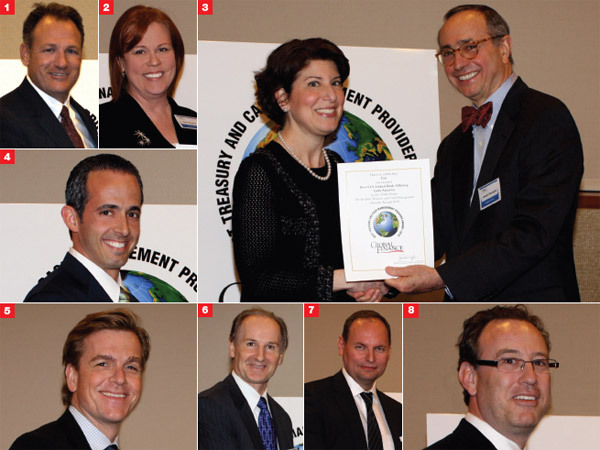 In late April, over 50 people came to the New York Harvard Club to celebrate the winners of Global Finance 's seventh annual Best Treasury & Cash Management Awards. Cash management banks maintain that in the wake of the recent crisis their solutions are more relevant than ever as corporate treasurers look for ways to unlock and preserve working capital. In this year's awards, Global Finance picked the cash management banks and treasury management software and service providers we believe have successfully combined geographical reach, product innovation, investment in technology and local market knowledge to meet the increasingly sophisticated and complex regional and global needs of their customers.